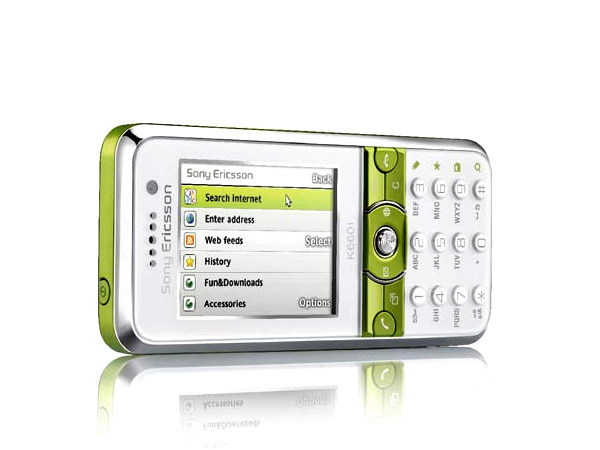 Sony Ericsson K660 , the new offering from the company targets the youth with its stylish web features. For more on the phone and an in-depth coverage check out our review. 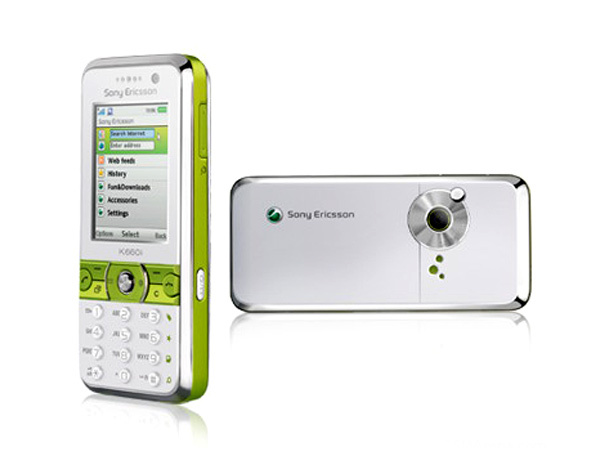 Sony Ericsson K660 is an internet dedicated phone. 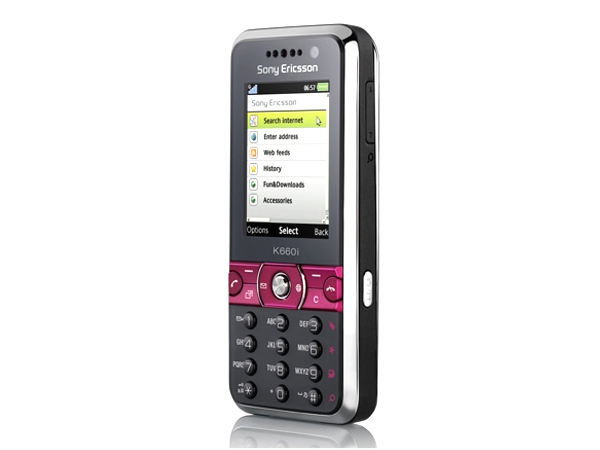 The phone provides active browsing without any trouble of a smart phone. Besides being a browsing centric the phone offers a balanced feature set including Walkman Player 3.0 and an enhanced Media Center. The design of the phone is elegant and sleek. The front and the back panel are made out of plastic with the sides having a metallic finish. 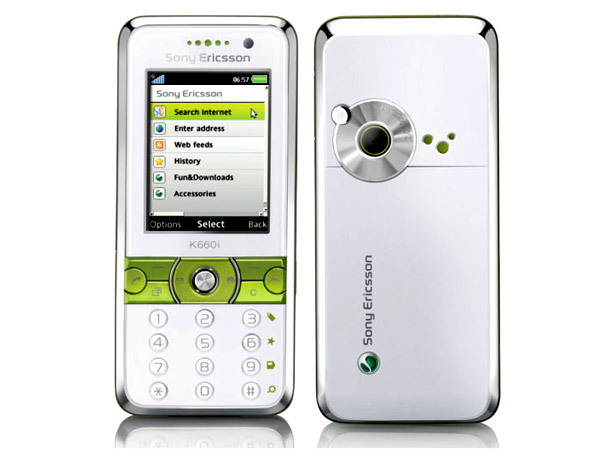 The phone is slightly wider than other models of Sony Ericsson. The handset sports a nice bold color combination which tends to sync with its features. The numerical keypad is typical of the new candy bar phones with round buttons. The round keys are equally spaced and are comfortable to use. The keyboard backlight is a pleasure with on-key numbers and the letters in between are backlit in different shades of white. The phone features a 2inch TFT display capable of showing up to 262.144 colours. The display is nice indoors but not outdoors. It allows changing the contrast levels, brightness and features adjustable vivid colors. Above the display the phone has the loudspeaker grill with the calling video camera besides it. The left side of the phone comes with the M2 memory card slot, the right side features the volume rocker and the camera key. The rear side of the phone houses the 2 megapixel camera with a self-portrait mirror. With regards to the phone's multimedia capability, the K660 features the Walkman 3.0 without the shake control and SenseMe features. The player supports MP3, AAC, AAC+ , E-AAC+ , WAV, WMA, M4A, iMelody, XMF, RealAudio 8 and MIDI file formats. It can also be set to run in the background. Then integrated FM radio has a memory of 20 stations supports RDS and comes with Track ID too. Internet browsing works just the way it's designed for, the pages load correctly without misplacing or deforming their content. Texts and images come out clearly in spite of the standard resolution. Overall the Access NetFront HTML browser does an excellent job. The browsing experience is enhanced by the web shortcut keys on the alpha numeric keypad. The keys provide access to text input, bookmarks, home page and zoom. With availability of landscape browsing the web experience is performance is top notch. The handset has a 2 megapixel camera which does not include any flash or autofocus. The user interface is the Cyber-shot SE v2.0.All the camera settings are displayed in two menu columns and the video can be recorded in a QVGA resolution at 15fps. The calling feature performs well as well as its SMS and MMS features. The SMS , MMS editors do a splendid job and do include the new EMS support , smilies and formatting. The device is a nice mid-end phone but the design and the bold color styles speak out for themselves. The software is stable and free from freezes and restarts. With an acceptable battery life the phone is ideal for youngsters.